North America’s first virtual reality roller coaster (VR) is coming to Atlanta, as The New Revolution at Dare Devil Dive is set to debut at Six Flags Over Georgia. 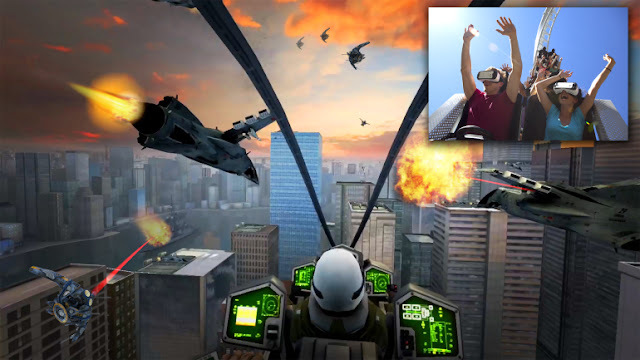 Using Samsung Gear VR powered by Oculus, riders will become “co-pilots” on their own virtual fighter jets and be transported into a futuristic battle to save planet Earth from an alien invasion. · An exhilarating battle sending you head over heels through 2,100 feet of twisted steel track to fight alien forces and save all mankind.